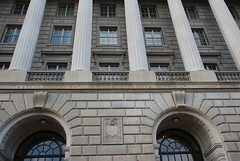 The US Internal Revenue Service is set to expand by 5000 extra tax investigators, as the agency looks forward to a 9.4 percent funding boost. On February 15th US President Barack Obama released the proposed national budget for the 2012 fiscal year, consisting of USD 3.73 trillion in total spending, and featuring a raft of expenditure decreases, along with initiatives aimed at raising tax revenues. Among the numerous details is a significant increase to funding levels for the Inland Revenue Service (IRS). It was proposed that the IRS should receive USD 13.3 billion in total funding over the 2012 fiscal year, an increase of USD 1.1 billion over the previous year. It is stipulated that USD 460 million from the extra money would be used to solely for the IRS’s tax-enforcement programs. It is estimated that the increase will result in the hiring of an additional 5 000 IRS investigators. The remainder of the extra funds will be used to enforce the IRS’s compliance programs, create new compliance initiatives, and modernizing the agency’s information infrastructure. According to the President’s statement, given alongside the budget release, the new funding will be used to target tax evasion through offshore financial centers by large multinational corporations and high-wealth individuals. Additionally, greater efforts will be expended to seek out and prosecute fraudulent tax preparers across the US. According to White House estimates, the IRS’s increased efforts will yield approximately USD 1.3 billion in extra tax revenues over the next two years. A series of compliance initiatives which will be also be launched in 2012 are expected to raise an additional USD 56 billion over the next decade.